A culture of cider drinking with ancient Celtic origins is a surprising proposition in Spain. The iconic bridge at the town of Cangas de Onís. In the city of Cangas de Onís, at the foot of the Picos de Europa, cider can be sampled underneath the iconic Roman Bridge at Mesón Puente Romano. A culture of cider drinking with ancient Celtic origins is a surprising proposition in Spain. 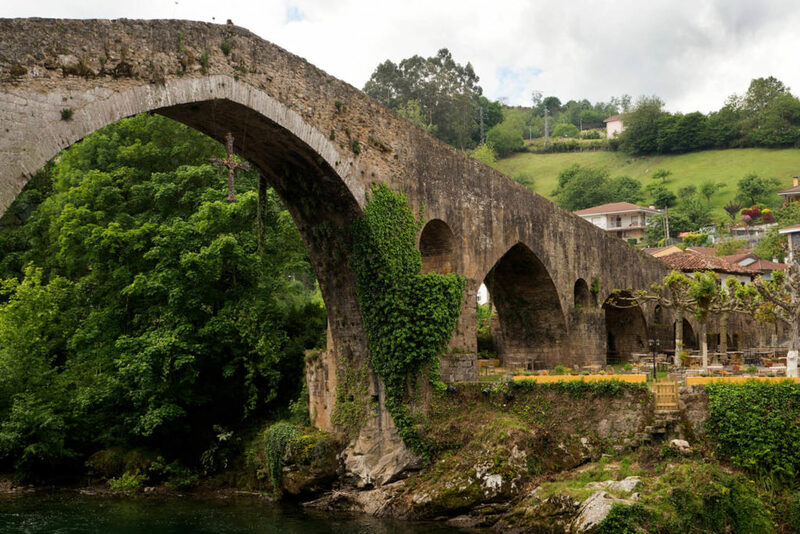 To find it, head north to Asturias. Writes Imogen Eveson. Close your eyes and think of Spain. Do you see balmy evenings soaked in cava, sangria and street-side tapas, a Flamenco dancer flickering through your line of vision? Excuse the tired clichés, but they’re not without merit. And certainly what you don’t imagine is traditional folk music and cider. Galicia and Asturias are two autonomous regions on the country’s wild and rugged north coast that feel unlike the Spain of popular imagination. 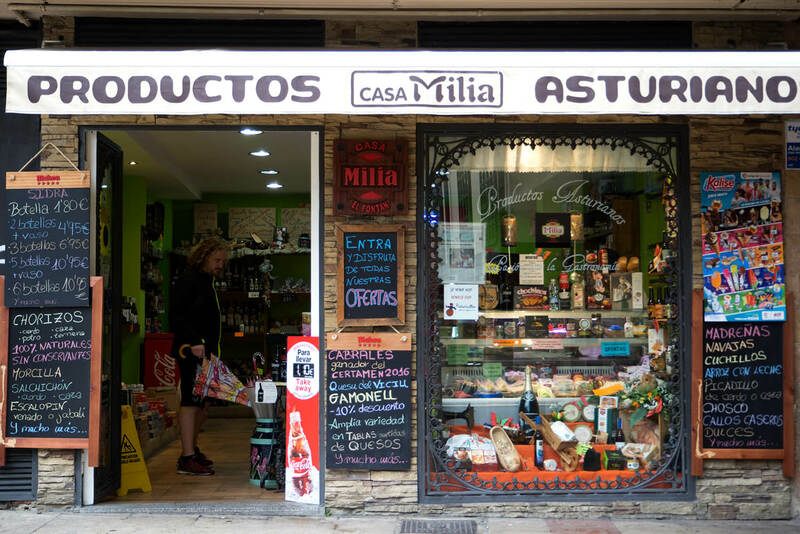 Aside from differences in weather and landscape – frequent lashings of rain washed in from the Bay of Biscay give the regions their ‘Green Spain’ moniker – strong Celtic roots are still very much alive here and help to account for the cultural differences you can experience. We associate the ancient Celts – who lived in European areas north of the Mediterranean from the late Bronze Age onwards – commonly with Scotland, Ireland and Wales. But Galicia (alongside those already mentioned, Cornwall, the Isle of Mann and Brittany) is considered one of the original Celtic nations. This is telegraphed loudly to visitors by buskers playing the Galician bagpipes in the main square of the region’s capital, Santiago de Compostela. Festivals (like Magosto, in mid-November) that evolved from pagan rituals, and the presence of hórreos –elevated granaries that are believed to have originated in Celtic times – are more subtle indicators. There’s a fine art to drinking sidra in Asturias. Here’s your quick guide. Today, there are cider houses all across Spain, but Asturias is the heartland of cider culture and you’ll have no trouble locating sidrerías in its towns and villages. 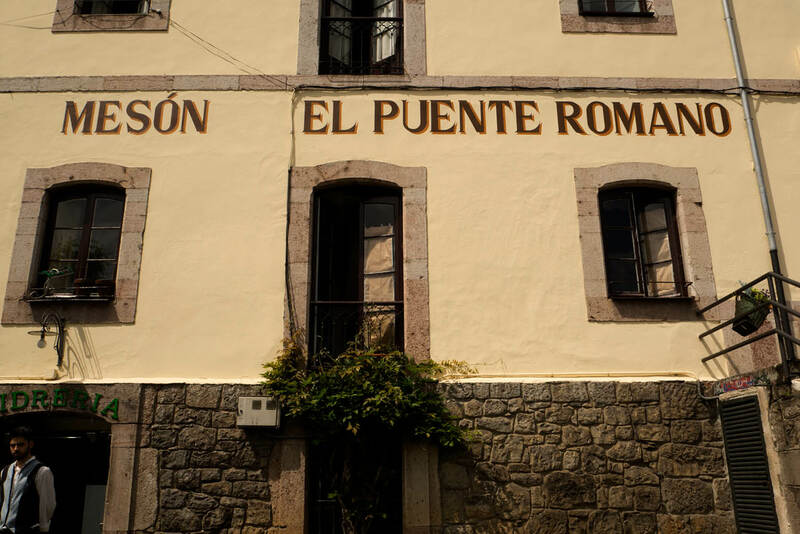 Try the charming town of Cangas de Onís, at the foot of the Picos de Europa, where cider can be sampled underneath its iconic Roman Bridge at Mesón Puente Romano; or stroll the characterful old town of the steel-making city of Avilés. Head to historic Oviedo, the capital of Asturias, or coastal Gijón, the largest city in the region and also considered its cider capital. Cider drinking in Asturias is undertaken with great ceremony. Pull up a seat at your sidrería of choice and the bartender – or escanciador (from the verb escanciar, which is solely used to describe this method of pouring cider) – will appear with a green bottle and a single glass. Holding the bottle above their head and the glass below the waist, they will pour from a great height. This distance aerates the cider – making the otherwise still cider slightly fizzy – and releases its full flavour and freshness. The first person in your group should down the measure of cider in one – except for the last drop, which is tipped onto the floor to ‘clean’ the rim of the glass. The escanciador repeats the theatrics for the next person, and so on – at a rapid pace – until the bottle is empty. Typical dishes served with cider in Asturias include fabada, a heavy stew of beans and chorizo, and meat and cheese platters; the region is known for producing over 50 cheeses locally, including Cabrales (the tradition of making this pungent blue cheese – and maturing it in natural caves – dates back centuries). Dangerously cheap. A bottle will set you back about two or three euros. Qatar Airways flies to Madrid via Doha from Sydney, Melbourne, Adelaide and Perth. Oviedo, the capital city of Asturias, is around a 4.5-hour drive north-west from Madrid or a train journey of the same length. – What is a Spanish paradors and how can we stay in one?